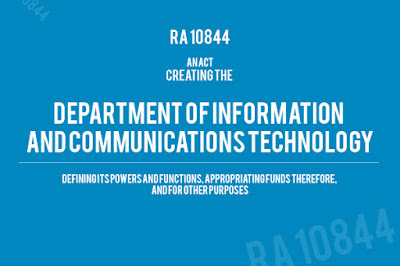 The Department of Information and Communications Technology (DICT) conducted its Second Public Consultation on the Implementing Rules and Regulations (IRR) of R.A. No. 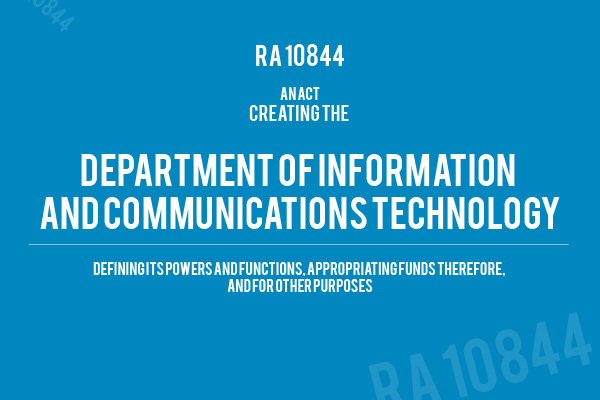 10844,the”Department of lnformation and Communications Technology Act of 2015” last August 18, 2016. In attendance were representatives from the Department of Foreign Affairs, the Securities and Exchange Commission, and other private and non-government organizations. In lieu of Secretary Rodolfo Salalima, Undersecretary Jorge Sarmiento opened the public consultation, stressing the department’s gratitude over the stakeholders who have been constantly helping in forming the IRR. The undersecretary then said that the department is “work[ing] fast and furiously” in order to finalize the rules and regulations as soon as possible. The consultation concentrated on the suggestions and the questions of the guests who inquired about the issues on CyberSecurity to the functions of the attached agencies of the DICT. On the issue of CyberSecurity, Undersecretary Eliseo Rio noted that the agency’s responsibility includes policies on CyberSecurity, however, as a response to CyberCrimes, the DICT shall work hand in hand with other agencies through the creation of CyberSecurity Incident Reporting Teams (CSIRT). Further into the discussion, guests inquired if the positions of the DICT are complete. Usec. Sarmiento promptly responded to this, saying: “So far, there are names, but if experts like you are willing, we can place you in the technical working group as consultants.” The undersecretary further expressed that the department is open to accepting any help they can get from the industry. According to Assistant Secretary Mallilin, “All government agencies are required to come up with a FOI manual, 120 days from the executive order” and that the department is undertaking on having one government portal with all the links of government agencies in response to the bill. He has, however stated, that the DOJ and the Office of the Solicitor General shall add a list of exceptions to the FOI and that the department has to consult with these agencies along with the National Privacy Commission (NPC) in order to discern what can be put in the platform. Later on, Mr. Dondi Mapa, the Deputy Commissioner of the NPC noted some of these exceptions such as Privileged Communications (If there is an ongoing investigation, sensitive data cannot be revealed) and the Data Privacy Act (If there is a violation on this Act, then the commission cannot reveal the information.). Other topics such as emergency and disaster response, the regulatory functions of the NPC, and the possibility of the regulatory board for ICT professionals were discussed within the public forum. Closing the forum, Usec. Sarmiento urged the guests to send their suggestions and proposed amendments to policy@dict.gov.ph and that the department is open for the public.